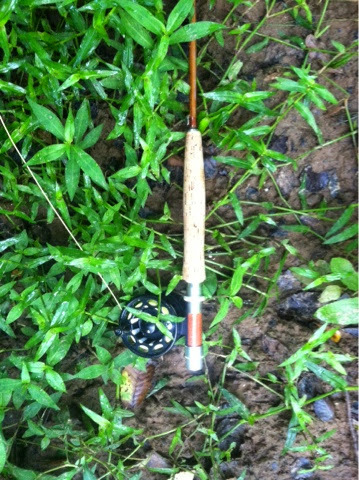 A while back my grandfather gave me a 6' 2/3 weight bamboo flyrod that had belonged to my late uncle. I've put off using it until I could get the perfect reel for it. Well, today I got impatient, I've been dying to fish it, so I took the White River reel from my TFO, mounted it up and set out for Suwanee Creek. The bamboo had a totally different feel from my TFO, but it cast really well once I got used to the stiffness. I think if I put a 3 or 4 weight line on it it'll cast like a dream. I can't wait to fish it again, but for now, I'm back to searching for a reel. Damn fine 'gill! 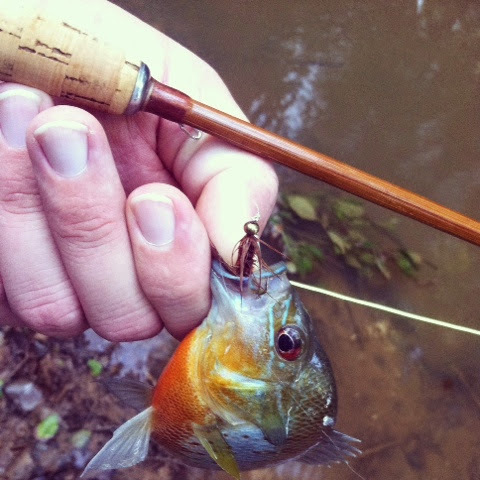 They weren't biting too well the day I tried out the bamboo rod, but this guy decided to take a brown woolly bugger. 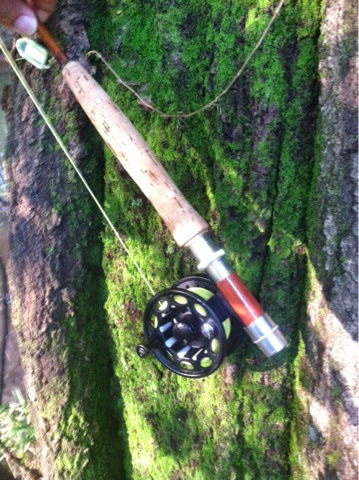 It is a beautiful rod, but I still need to find a good reel to complement it. I still need to work on the photo skills, but the moss makes a great backdrop! 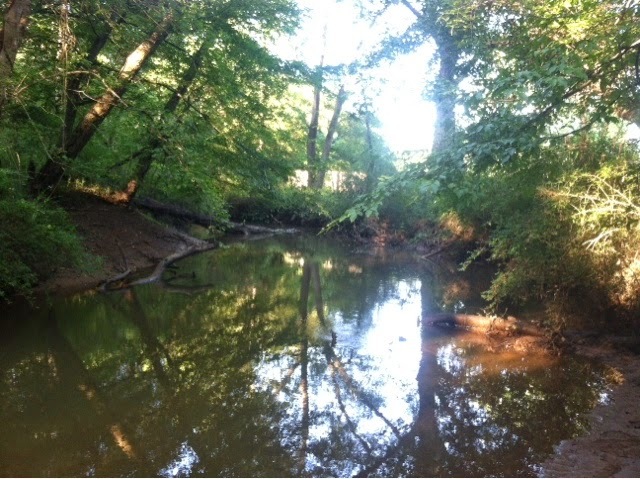 I just wanted to show you what Suwanee Creek looks like. This is just upstream from a 90 degree turn. You can see a wood fence in the background, the other side of the fence is an industrial park and between the water and the fence is the Suwanee Creek Greenway, a heavily used walking/running/biking trail. Thanks for the comment buddy! This was only my first experience with bamboo, I'm definitely going to try again, as soon as I get a reel and some line that pairs better with this rod. I've never fished fiberglass, but I've had my eye on a Butterstick for some time now. I'm always looking for folks to fish with, we'll have to set something up!